The Clover S54 Cartridge and Filter Head (also known as the Everpure 2HL) are what you will need if you are purchasing a new Clover Bottleless Water Cooler and do not feel you need the water-line install kit. If you want the Filter, Filter head and install kit you can purchase that here. 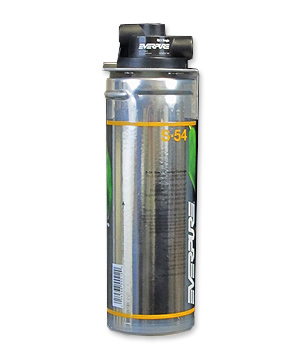 The Clover S54 filter cartridge is manufactured by Everpure, a 49 year old USA base filter company that makes high-end commercial grade water filters. The Clover S54 Filter Cartridge fits a quick-change head, so changing filter is as easy as changing a light bulb.